Salons, Etc. is the premier West Side Salon in Madison, WI. We are truly a destination for hair, beauty and wellness! More than 20 years ago, Salons, Etc. was one of the first salon suite and studio facilities in Madison. Our story is built on the stories of our salon owners and their clients, but it’s rooted in a passion for a simple and elegant salon experience. Our salon suite rentals are completely built-out and move-in ready for your salon service business. We have flexible rental options and we offer support to help you get your business off the ground. We know the importance of generating new customers for your business and we look at our salon owners as partners in the continued success of our business. If you have ever considered changing salon studios or had discussions with another stylist about starting your own salon, please reach out to us to discuss how we can be part of the solution for your business success. At Salons, Etc., we have multiple booth configurations, rental rates, and service offerings that will allow you to maximize your profit potential while giving your clients a unique, boutique experience. Judy Susmilch has been working in the Salon Suite business for more than 20 years. She has owned Salons, Etc. since the late 1990’s and has extensive knowledge of the industry that can help aspiring stylists to get off the ground. 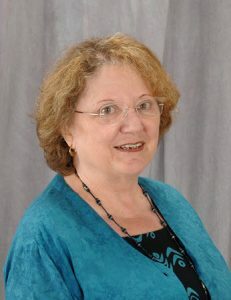 Judy is also very active in commercial real estate transactions in Madison. In her free time, she loves to spend time outside with her dogs at her homestead near Madison. After years of working with some of Madison’s top stylists, it is their word that can be the true measure of our studio facility. Here are a few testimonials from recent studio renters. Venturing out on my own and starting my own salon gave me the ability to control the guest experience while affording me the flexibility I had always wanted. At Salons, Etc all of the salon owners have the independence of owning their own business, but we are supportive colleagues for each other, not co-workers. The supportive culture that comes from that motivates us to help each other as business owners each step of the way. Being able to control the standard of service for clients was the initial motivation for leaving the salon I was at. I wanted to work on my schedule. If I didn’t want to work on a weekend or a specific day during the week, I could do that. But at the end of the day, my production relies on me. I like that I control my income.